Travellers who venture beyond Rome’s major sights are rewarded with some truly exceptional and unusual tours and activities. Whether you prefer to explore one of the city’s oldest markets, ride around town in a vintage Fiat 500 or tour a sculpture gallery housed in Rome’s first electrical power plant, the ‘eternal city’ is eternally fascinating. The following offer a fascinating and unique look at Rome. This small basilica may appear modest from the outside but it has four levels from different times in history, with a 1st century Pagan temple, an ancient Roman mint, mosaics from an early Christian church and the church which currently sits on the site. 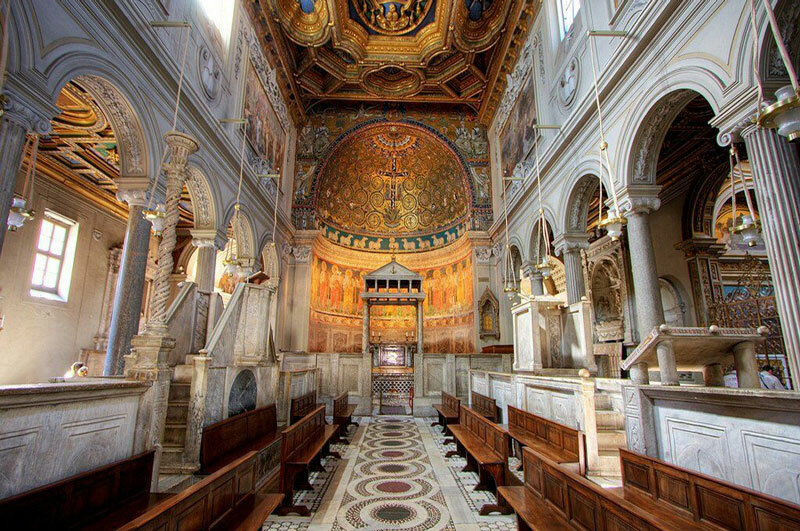 Descend the stairs into the heart of 1st century Rome, then work your way up through history. Explore using the provided brochure or take a guided tour. 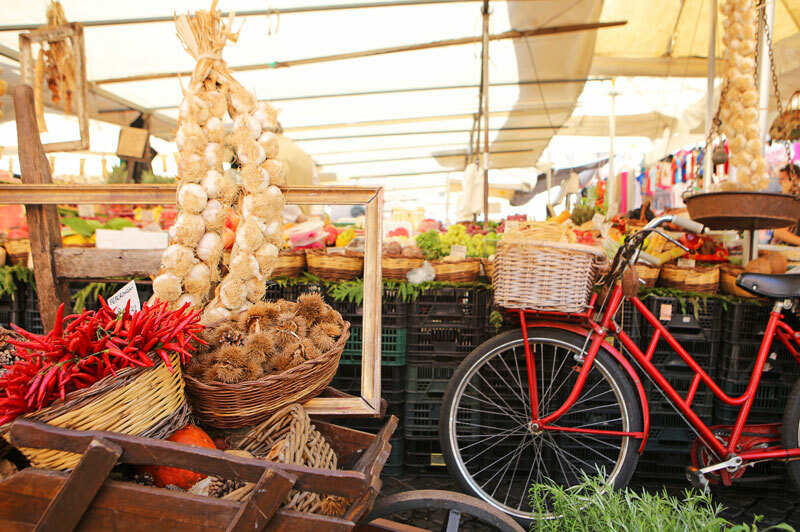 Around 80 percent of what is sold at Campo de’ Fiori is produced locally and the market, which began in 1869, remains central to the people of Rome. 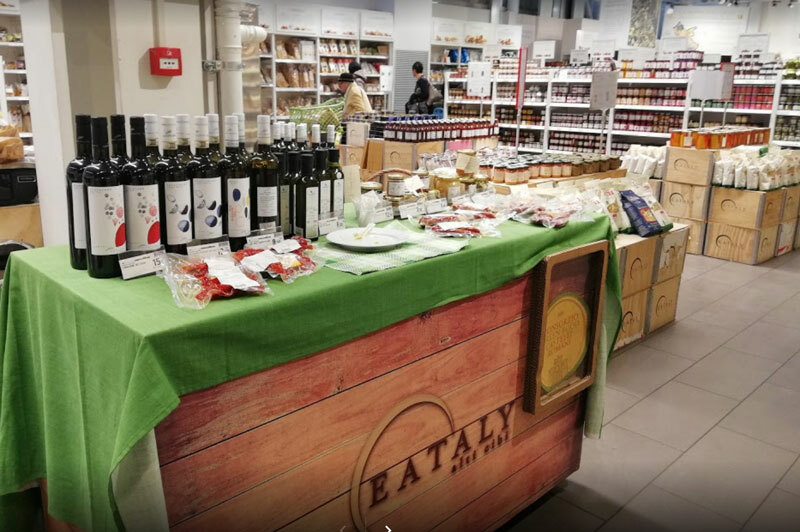 Browse stalls offering samples of everything from olive oils to liqueurs and pesto with flavours such as squid ink, tomato, and black truffle. Drop into Antica Norcineria Viola, a family run smallgoods shop dating back to the late 1800s, to buy delicious cured meats or head around the corner to Cooperativa Latte Cisternino. This cheese shop is so popular with Romans that most of the buffalo mozzarella is already ‘reserved’ each morning. 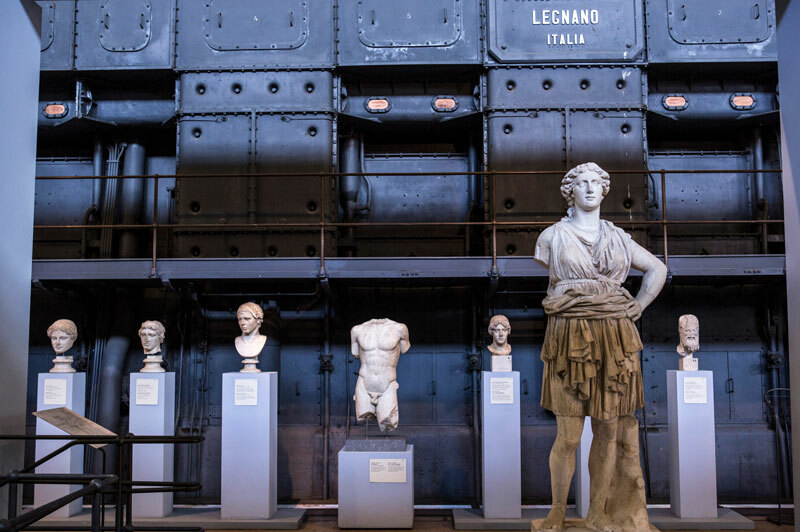 Priceless marble statues are set against a backdrop of turbines, diesel engines and steam boilers at Centrale Montemartini Museum, a sculpture gallery housed in Rome’s first electrical power plant. The marble gods and emperors look surprisingly at home surrounded by powerful machinery which has been polished to a high shine. Floor to ceiling windows cast a rosy glow on the gleaming white statues and burnished gold dials. Even in peak tourist season, this unique museum is seldom busy. 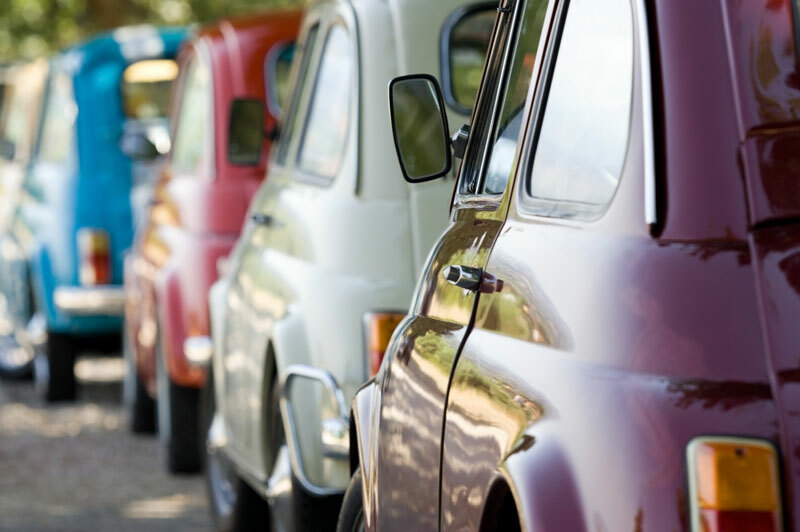 Discover Rome in style, in a vintage Fiat 500. Skip the mega tourist buses and travel like a true Italian as your local chauffer whisks you all over the city to explore its hidden gems and authentic treasures. If you are feeling brave, you can even drive the car. When the Church of St. Ignatius of Loyola at Campus Martius ran out of money to build a dome, master artist Andrea Pozzo offered to paint one. 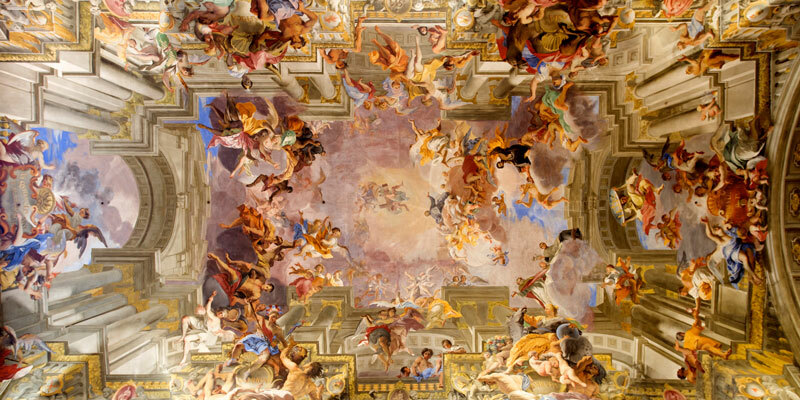 Specialising in a technique known as quadratura, Pozzo used trompe l'oeil to create a grand dome, ornate architectural features and Baroque frescoes on the ceiling. The floating 3D figures look so realistic that it is hard to resist the urge to reach up and touch them. Stand on the marble disk in the middle of the nave floor to admire the ceiling or use the handy mirror. A second marker provides the ideal vantage point for the trompe l'oeil painting of the dome. This vast multi-storey food hall housed in a converted train station should not be missed if you want to learn about Italian cuisine (and pick up some great, affordable food at the same time). In addition to stocking all sorts of cooking ingredients, there is an on-site microbrewery, fresh pasta shop, gelateria, specialist butcher, cured meats emporium, and many different restaurants. It’s almost impossible to walk out of here empty handed, even if you weren’t planning on buying anything. Now is the time to rediscover Italy. Talk to your Travel Associates adviser about planning your next European adventure.